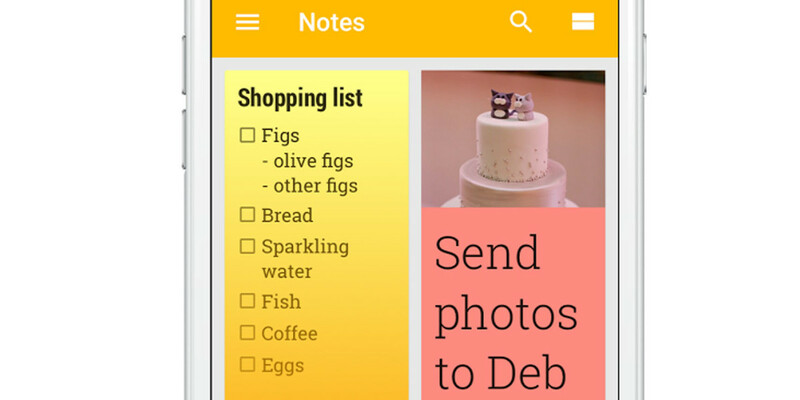 Keep – Google’s simple note-taking app – is finally arriving on iOS. It’s the same set of features you’ve come to expect from the Android and Web versions. You can create colored notes and to-do lists, search for information by photo, audio, or text, or add labels to help keep things organized. You can also set reminders based on a time or location so you don’t forget an item from your next shopping list. Of course, it’s connected to the cloud, so your notes will be saved across all your devices, and collaborative functionality means you can share notes with others and work on lists together in real time. The app has spent an unusually long amount of time to arrive on iOS; it was first announced for Android and the Web in early 2013. Still, it’ll be appreciated by users already invested on Google’s services or those looking for a new simple note-taking app on the cloud. For more on what you can do with Keep, head on over to Google’s page here.